But in general it is safe to say after a period of grappling and a mutual scuffle to get comfortable many of Serge’s creations have found a place in my heart and perfume cabinet. Fille En Aiguilles may be the one I grappled with the longest. I bought it unsniffed back in 2009 when it came out, (yeah, I did such stupid things then, haven’t we all?) and we went through periods of intense love and equally intense hate together. Why? Well, the darn perfume does whatever it wants! Never, not once, does it smell like the time before. Always a subtle (or glaring at times) difference, always a shift in perception, always a different facet presents itself, always a different angle, a different light, a different smell. Fille En Aiguilles is hell-bent on driving me crazy and making me doubt my nose and sanity. Fille en Aiguilles (“Girl in Needles”) is an Eau de Parfum Haute Concentré and includes notes of pine needles, vetiver, sugary sap, laurel, fir balsam, frankincense, candied fruit and spice. It was created by Christopher Sheldrake in 2009. There is a spectrum along which Fille en Aiguilles morphs and I will describe the two extreme opposites of that spectrum for you. 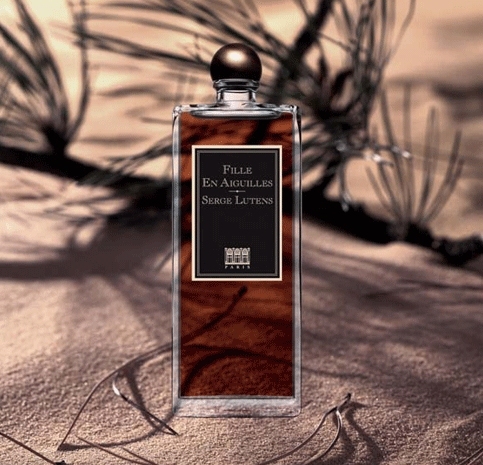 On the other end of the spectrum Fille en Aiguilles is the most sober and dignified dark pine resin-y, woody, incense-y perfume ever, I call it the “Scent of Doom”. When I get this aspect, Fille en Aiguilles smells of turpentine, of camphor, harsh, medicinal, rough before mellowing, softening and becoming like a deep, deep forest where no light has ever penetrated the deepest reaches of the age-old trees, where mold and mildew, oakmoss and lichen, pine, laurel and fir reign supreme and no human should dare to venture. Thankfully most of the time Fille en Aiguilles is somewhere in the middle of these two scenarios, never the same place twice though, mind you! So do I like Fille en Aiguilles? No. But I adore what it does. I admire its chameleon-like facets, that ever so subtly betray the accusation that this is one of Lutens’s simpler creations. Ha, this is how Lutens does simple and straightforward and laughs at our feeble attempts to make head or tail of it. If I want something to marvel at, something to shake my head at, something to keep me occupied to the point of irritation, this is what I go for. Why do I ever want to be irritated by a perfume you ask? Because it can. It can do it without ever going too far, too far being the point where I say, it is awful, get it away from me. And that is an achievement, I have to applaud. Looking for something interesting? Look no further. P.S. A word of warning, that is maybe obvious but I’ll say it anyway: Fille en Aiguille stains like mad, so keep it away from fabric. Giveaway: Do you want to try Fille en Aiguilles? I am giving away five 1ml samples from my own bottle. To win, please leave a comment stating what keeps your interest or what drives you mad in a perfume. I’ll let random.org decide who wins. The Giveaway is open for everyone who leaves a comment answering my question, everywhere in the world. The draw closes on Sunday August 14 midnight GMT. The winners will be announced on August 15 here on the blog. Good luck (with both the draw and the perfume 😉 )! This entry was posted in Fragrance Reviews, Serge Lutens, Woods and tagged Christopher Sheldrake, Fille En Aiguilles, Fragrance, Perfume, Pine, Review, Serge Lutens. Bookmark the permalink. I would try only if it landed in my lap! So, count me out for this one, and give to someone with an appreciation! I am not only one note, but because there is so much out there, so many temptations, I have to see the word Vanilla somewhere in the notes of any fragrance I am interested in. It’s one way to ‘edit’ my lusts! Although those who truly understand fragrance, such as yourself, are constantly tempting me to go outside of my comfort zone! Obviously, I am interested, or I would not read! I would love to try this! What keeps my interest in perfume? It’s mood-altering and imagination-stoking abilities. I’ll just leave it at that for now, or I could go on.. and on..
That is succinct and to the point, Carrie. Just what keeps me interested in perfume too! I like a perfume that evolves in a subtle way yet one that gives you a jolt at some point. What drives me mad is that one elusive note you can’t identify, yet is so familiar in a nostalgic way. When I think of Serge Lutens I think L’Air du desert Marocain, I just can’t seem to get past this perfume, I adore it. I get mad too when a note dances before my nose and I can’t place it! OOhh.. I have had a few of these moments lately, I was thinking of both ironically. However yes, Andy Tauer LdDM. My go to Serge Lutens are Ambre Sultan and Chergui. I have been trying to absorb so much over a short space of time I get myself a little muddled. I in fact liked Girls in Needles for the first sniff – but I didn’t want to smell like it. I would have loved a candle with its scent and put it in every corner of my apartment. I have an easy relationship with uncle Serge, especially when it’s about his older creations. I adore his work. And his courage. I like it when things are bold and brave, rather than tame and forgettable – in perfume too. I totally agree, a candle would be perfect! And bold and brave – I take it anytime over tame and forgettable, but there is a place for quiet, subtle and refined as well. This is not to enter the competition Birgit. I just had to say that Heidi was my heroine as a child. I so wanted to live with her , maybe that is why I drink goat’s milk and toast goat’s cheese. I love your wine comparison, and for me there is a time and a place for both. A good, straigthforward Californian Merlot can be a good thing, although I am glad there exists something else, deeper, more complex and full of stories and associations as well. I love complex perfumes that changes everytime I wear them, but it can be frustrating if you’re looking for a certain effect or mood, and then the perfume performs in a completely different way than expected. But the way perfume can change or enhance my mood/attitude and evoke memories is very fascinating. What drives me mad: when a fragrance reminds me of another perfume, but I can’t remember which one. I adore many of the Serge Lutens fragrances, but I find a lot of them quite difficult to wear. Have you tried Douce Amere? That’s my “grab and go” Lutens, it’s always perfect and always interesting, but never difficult. Douce Amère is lovely, bitter-sweet and highly wearable. I have to try this.Heidi was the first book prize I won at school in Std 1. Such memories ! I loved it and read it cover to cover. A spray from this past will be fun and I have never smelt any of Serge Lutens fragrances in my life. or are they available in South Africa. That is a lovely memory! I hope you get lucky, Rene! Synthetic musk drives me mad (and I run quiclky in the opposite direction). What keeps my interest most is a perfume that transports me into a story (there are some favorites of mine which don’t do that and some I might not wear much but which do that in an instant). Enjoying the sea and sun, Ines? Thanks for the lovely review, and for reminding me how much I like FeA. You are very welcome, Asali! I see there are many FeA fans, I’m glad to hear that side. I don’t need to be in the draw, I already have a sample. I love it exactly because it morphs, just as you said! On me, it’s total Heidi, most of the time. On my DH, it’s the Big Woods. It’s a little too intense for Florida, so every once in a while I just put a tiny drop on my hand to have the strange experience all over again. I also do this for Chypre Rouge, another very odd creature. And Heidi was my favorite book as a little girl, she and Pocahontas were my two heroines! My copy of Spyri’s book became so battered from reading and re-reading, that it finally had to be thrown away, very sad, like the the Velveteen Rabbit…. I love scents that evOke places for me. They drive me crazy when they grow and grow and grow on the skin until they wear me. Sorry, I was cut off before by my possessed phone- THIS post has my email correct, as I missed a letter on the previous one. Eek. I hate it too, when a perfume starts out innocently and then expands, so you are aware of having overapplied too late! Horrible! I’d love to try this one. It’s so interesting how some fragrances seem to have minds and moods independent of the wearer; a sign of a well-made fragrance. I hope you win, Jim! 🙂 The only one so far that I have much experience with is Muscs Koublai Khan. I remember SL being a very popular house among basenotes members. I need to continue my exploration. Wonderful writing, B. I loved your review. As you already know from one of your famous Monday Questions, I thought Fille en Aiguilles might be the perfume that describes me best. Reading your review, I am now sure of it. 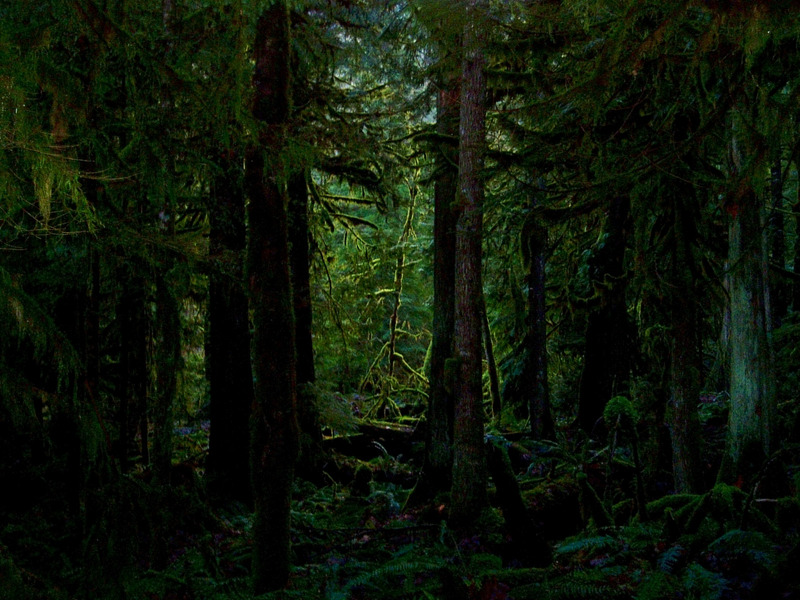 Those deep dark forests, the scent of tree needles and sap…they stir my blood and take me to a place somewhere between heaven and earth. I would love to be entered in the giveaway. My sample of FeA is almost gone! I remember you saying FeA was your scent, it is great to find one that fits so well and expresses what may be unsayable, in one whiff. I just realized I didn’t answer your question! One thing that keeps my interest in perfume is the potential to “re-experience” the past. Smelling perfumes that evoke long forgotten memories feels like a supernatural experience!! Thank you for sharing your answer, Joan! like Ines, I love when a perfume transportes me to another place, tells a story to me. All of my favorites, the ones that continue to keep me interested, either have their own plot, or have a clear identity— even the “skin scents,” like Calamity J, that little androgynous vixen! I’m with you and Ines there, perfume that tells stories keeps me enthralled. I like it when I can detect different notes each time I wear a fragrance. It’s like with each subsequent wearing, I go “further in”. Thanks for the draw. Thanks for this post and draw….I haven’t properly tested Fille en Aiguilles, but I remember not being quite taken by the first whiff…this should obviously be investigated deeper. Fragrances drive me mad when they smell beautiful on someone’s skin and then take on a completely different and disappointing persona on mine; some people say there is no such thing as “skin chemistry” and that a fragrance will smell essentially the same on any skin, but experience, alas, has taught otherwise. That is really frustrating, when something beautiful is not beautiful on your own skin, I had that recently with Mandy Aftel’s Haute Claire, I get so mad when that happens. What keeps my interest i perfume : hmm- I just love smells…I love how many different combinations of scents exist..I love perfumes’ ability to evoke images, colors, people, places, feelings.. I asked myself that question many times!!! Especially when I ask my husband (totally futile exercise, but I never learn…) and he says something totally different to my perception. But maybe it is like that with all the senses, only not that apparent. Usually I hate puns, but I just really love the name! What makes me crazy and obsessed is grabbing a hold of a certain note and enjoying it and then it disappears…..I sniff my arm to find it….where did it go? Then I’ll catch that note in the air again and sniff sniff — where is it. Probably sounds nutty, huh? Please enter me in this draw, thank you. Good luck in the draw, Full of Grace! I will tell you what makes me sad: I almost can’t find perfume that I would purchase… everything what I try is somehow not good enough to buy or it is too expensive (shipping also). But you turned to making your own, so it has a good consequence, hasn’t it? I had never heard of the sequels (no wonder, if they were written by the English translator they were probably not available in German)! Open Sesame, that is perfect! I feel the same way. Perfume is so inspiring and brings forth so much that lies dormant otherwise. Please enter me into the draw. I still hope to find at least one SL’s perfume to love and to want to buy a FB. So far the closest I got was a decant of Jeux de Peau. I really like it but can’t imagine needing a FB of it. When I love the perfume I do not deconstruct my feelings – I do not care why I love it, I just do. But interest is a different animal. The perfume might keep my interest despite the fact that I didn’t like it if there are enough people, whose opinion I value, declare their love to it (e.g. Amaranthine). I keep wondering what they see (well, smell) in it and keep trying. You are entered Undina! I always try harder with perfumes people I care for or admire, like, too. It’s not original, but when a perfume has a glorious top note that fades after a few short minutes and isn’t replaced by a bomdiggitty heart or base I feel robbed. Dark, lightless woods intrigue me, so I’m curious to sample your Scent of Doom. I hate that too, when a perfume is just a show-off for a few minutes and then disappoints. You are describing it perfectly, einsof! I’d love to try it because I have it on my to-test list from back in the day when I just put fragrances on the test list without saying what made me put it there! Back in the day I thought that I would always know why, but life has proved me wrong. I don’t even pay attention to the same notes anymore! So there, what kind of reason is that? But it’s on my test list and I have no idea why, so I’d love to try it. I wish I knew what makes the difference between just liking perfume OK and being madly in love with it. I think, mostly experience does. I liked a perfume once and then wore it on a day that was important to me and like turned to love. But I know even less what makes the difference for me between just being cold about a perfume and being passionately mad about it, mad like angry. I guess disappointment does, when I have some particular expectations about smell or quality and they are not met. Oh expectations. They are like that, aren’t they? Thank you for the draw, that’s exciting! What keeps my interest in perfume–Perfume is like a giant novel in a bottle. You never quite know what the next page is going to be like, until you get there to read it. My biggest turnoff about our magnificent scent obcession is the escalating cost of so many of the perfumes. We will soon have to be majarahjas to afford our sparkling bottles of happiness. Please enter me in the draw. you are so right, a deep wallet is needed these days to indulge in our passion. You are entered of course, best of luck to you! I am never sure about whether I like Serge Lutens’ fragrances or not. I have often read the notes and thought “perfect!”, that’s the perfume I want. And then I was horrified by too much honey (Chergui) or a sweet fruity mess when I expected to get a leather scent (Daim Blonde). Last time I tried a Serge Lutens I went for one of the rather masculine scents – Chène. It was wonderful, no sweetness, no “you obviously wear a men’s fragrance..” but a really good and authentic wood scent. A “grab and go”. I was happy wearing Chène, wandering around, sniffing at my wrist every now and then. Until my friend and the SA both (!) jolted me out of my dreams of me and my new love by saying (very carefully) that they thought Chène might be one of the best perfumes (of course) and they totally see why I like it (love) but that maybe this wouldn’t be the perfume they thought was right for me. Bang! I looked at them, didn’t understand what they meant. “Well, uh, you are more the classic type of a woman” (I’m a blonde with curly hair and blue eyes – never thought this would get me in trouble when it comes to perfume) “and this… uh, smells somewhat wrong on you. Why don’t you try this?” (Hiris), “it has almost the same notes.” (it has not). Needless to say that the next sniff at my wrist was different. I went home without Chène, didn’t even ask for a sample. I can’t believe that I found a Serge Lutens that I liked on the spot and then people who should encourage me to buy it, tell me I should let go of it. And the one note that drives me mad in perfume is tuberose. It is too strong for me. I always feel “overpowered”, like if its scent creeps into my head, in every corner of my brain, causing a first-class headache. thank you very much for your “essay”. 🙂 I totally understand you, there is a big difference between appreciating Serge Lutens’ genius and finding a great and wearable perfume. I hope you get lucky with Fille! Shocking description! By the way the creator is Serge Lutens! Serge Lutens is the creative director of his namesake line, but the perfumer of Fille en Aiguilles is Christopher Sheldrake.